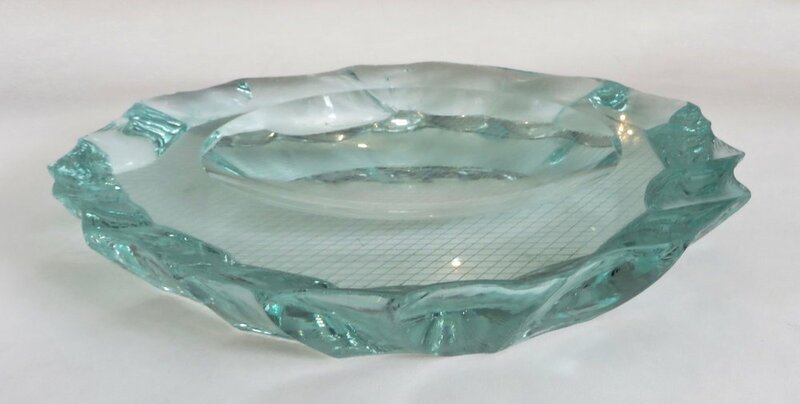 A very unusually large round sculpted edge and incised, glass dish designed by Pietro Chiesa for Fontana Arte, circa 1940. Collectable crystal bowl with scalpellato edges by Italian master designer Pietro Chiesa for Fontana Arte. The underside of the glass has a grid of diamond shaped patterns. Engraved with FA on the side.